Officials in eastern Sweden have ordered an artist to repaint his home because the chosen color scheme is not “Swedish,” according to reports. The homeowner, Bernth Uhno, recently purchased a home in Skänninge that had been vacant since 1981, the Sweden Television station Östnytt and other media outlets reported. 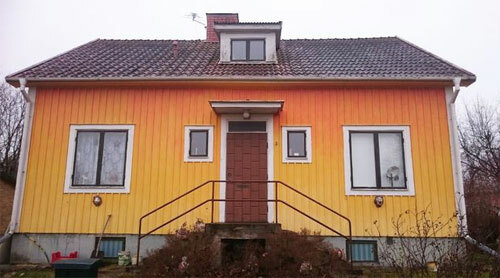 The multi-colored home sticks out in a Swedish village, officials say. Uhno updated the home’s yellow, flaking exterior coating with a gradation paint job that goes from a light yellow at the foundation to a rich orange shade toward the roof. However, the nature-inspired paint job prompted the municipality of Mjölby to order a repaint, calling the multi-colored home “foreign to the village of Skänninge,” reports relate. Further, the head of the local council’s building committee, Anders Steen, told the television station that the colors were not considered Swedish. 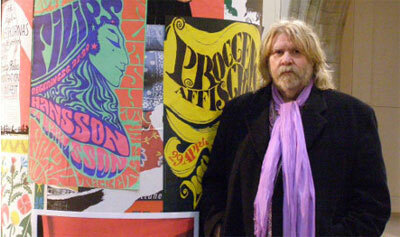 “In Sweden, we tend to stick to one color,” he said. Homeowner and artist Bernth Uhno has told media outlets that he plans to appeal the council's decision ordering him to repaint. “Good color effect” is reportedly decided on a case-by-case basis. The owner can then appeal the decision with the Supreme Administrative Court, according to reports. Uhno has told media outlets that he plans to appeal the council’s decision. He did not respond Tuesday (March 24) to a request for comment. His challenge may be successful. An attorney for the National Board of Housing told Östnytt that the court has been lenient in past cases, citing one case where a pink house was allowed to retain the color when 260 surrounding homes were painted green. Many people have voiced support for the colorful paint job via social media. Facebook user Peter Skoglöf commented that he thought the house was "nice looking" and resembled "beautiful autumn leaves. Swedish autumn leaves then of course". Terrific color selection and placement and no reason to change! Boo to political policy. It's an interesting choice. Having traveled a fair bit around Sweden, I can say it would stand out a little bit, but not that much (depending on lighting, I'm sure). Most of the rural homes are solid red or yellow with the heavy white trim on the door and windows. A house with a gradient would be different, but it doesn't say "un-Swedish" to me. In fact, when I saw the image, I thought it was just something different with the lighting of the photograph, but immediately recognized the style and associated it with Sweden. Perhaps in different lighting it is more drastic, but based on the included photograph, I'd let it be if I were on the appeals court. I wonder just how you paint a gradient like that. The house looks great to me. Like Mark, I wonder how it was done - deft hand with a spray gun? Looks good to me! If yellow houses are common, the politicians' complaints are groundless.